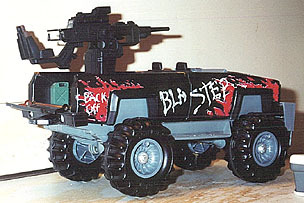 This is my customized Blaster from Steel Monsters. Although it is not much of a custom, I thought I'd put up the pictures anyway. 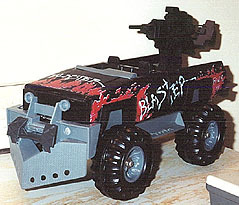 Blaster was an off road pickup truck and an enemy vehicle. 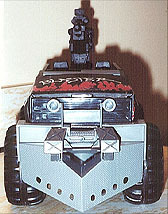 I added the cannnon and the equipment in the bed.